For more than two centuries physicians have been using general anesthetics to perform surgeries, however even now in the 21st century scientists know very little about what happens to the brain when the patient moves to and fro a state of consciousness. This becomes even more important when you consider the very rare but frightening cases in which some patients wake up from anesthesia during surgery. MIT scientists have now found the process that moves the brain from conscious to unconscious and vice versa, furthering our understanding. Also, novel monitoring devices that can accurately determine whether a patient is about to wake up can be now created. “When anesthesiologists are taking care of someone in the operating room, they can use the information in this article to make sure that someone is unconscious, and they can have a specific idea of when the person may be regaining consciousness,” says senior author Emery Brown, an MIT professor of brain and cognitive sciences and health sciences and technology and an anesthesiologist at MGH. In the new study, MIT scientists monitored the brain activity of volunteers that were under anesthetics for two hours at a time. Each participant had an array of 64 electrodes attached to the scalp. Propofol, the most common anesthetic, was steadily injected in the participants, while the researchers monitored their response to sounds. Every four seconds a mechanical tone or the participant’s name was played in the foreground, time at each the participant had to push a button to signal that it was received. During all this time, the EEG monitored brain activity. Once the subjects became less responsible, distinct brain patterns surfaced. Early on, when the subjects were just beginning to lose consciousness, the researchers detected an oscillation of brain activity in the low frequency (0.1 to 1 hertz) and alpha frequency (8 to 12 hertz) bands, in the frontal cortex. A specific relationship between the two frequency bands was also inferred: Alpha oscillations peaked as the low-frequency waves were at their lowest point. Later on they found that while the subject become fully under anesthesia the alpha oscillations flipped so their highest points occurred when the low frequency waves were also peaking. This resulting pattern blocked neural communications between various regions of the brain. For instance, the frontal cortex and the thalamus, which normally communicate with each other across a very broad frequency band to relay sensory information and control attention, were constrained from sharing information. This array of videos shows spectrographic data (representing brain wave frequencies) from each of 44 electrodes attached to the scalp of a healthy volunteer undergoing propofol anesthesia. The spectrograms are arranged according to their approximate position on the scalp, with the front of the head at the top of the screen, and the back of the head at the bottom of the screen. Activity moves from back to front with loss of consciousness (levels 1 to 5) and from back to front with return of consciousness (levels 6 to 8). Each video shows brain activity throughout a 140-minute period of the study. Video by Aylin Cimenser. 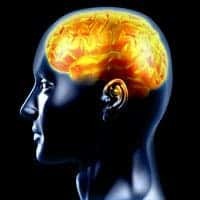 In a similar previous study, conducted by the same team of researchers, only with epileptic volunteers, instead of healthy ones, similar findings were made. Then, researchers found that during anesthesia, neurons within small, localized brain regions are active for a few hundred milliseconds, then shut off again for a few hundred milliseconds. It’s this flickering brain pattern that creates the low frequency oscillations that block communications between areas of the brain and pulls us into unconsciousness. When the anesthetic dose was lowered, the participants began to regain consciousness, and a reversal of brain activity occurred. Yet again, the alpha frequencies flipped so that they were at their peak when the low-frequency waves were at their lowest point. “That is the signature that would allow someone to determine if a patient is coming out of anesthesia too early, with this drug,” said Patrick Purdon, an instructor of anesthesia at MGH and Harvard Medical School. Only in one in 10,000 operations patients wake up from anesthesia, but this is enough to cause general panic surrounding surgeries. Armed with this new found knowledge, anesthesiologists might soon have monitoring tools based on brain wave patterns that accurately signal whether or not the patient is fully unconscious or not. The researchers now plan on monitoring brain signals for other anesthesia drugs as well. The findings were reported in the journal Proceedings of the National Academy of Sciences.